This is a round Barbey’s Beer porcelain sign. 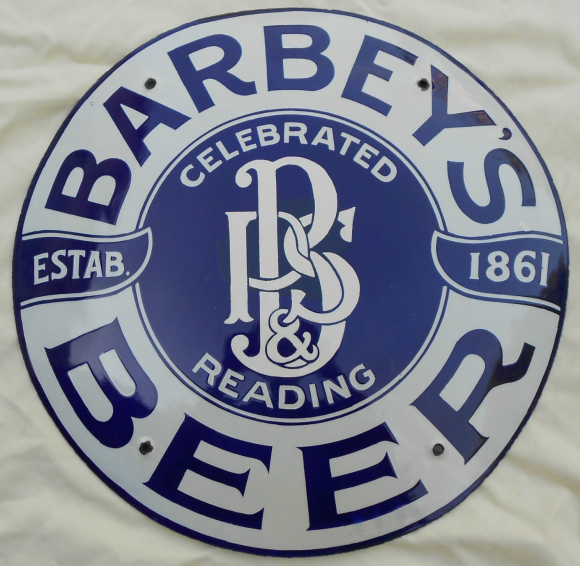 This particular Barbey’s Beer sign is blue and white with the Barbey’s Beer symbol in the center. It reads, “Barbey’s Beer, Estab. 1861, Celebrated Reading”.